My friend, colleague, and mentor of mine, Dr. Sachin Patel lists out many other potential signs and symptoms of low dopamine. He also notes that just because you crave sugar, it doesn’t automatically mean you have a yeast issue or bacterial overgrowth issue. Do any of these symptoms seem familiar? One of my favorite tests is organic acids from Genova Diagnostics. In this particular case, this person has depletion of dopamine (#23) but also epi/norepinephrine (#22), and trending low serotonin (#24). These markers are the end products of these neurotransmitters. Many lifestyle recommendations go into supporting why this person would have these levels tanked but to get some wins in the immediate, I like a product called DopaBoost. 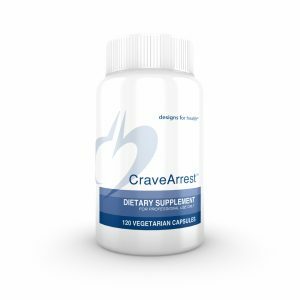 Another product I like from the same company (Designs for Health) is called CraveArrest in similar circumstances. Why I would choose one over the other is based on some other data from this lab indicating the metabolism of tryptophan. Tryptophan is a building block of serotonin but it’s also a building block of many brain inflammatory markers and therefore I think caution is needed when taking things like 5-HTP, especially if you are trying to ‘treat depression’ naturally. Other things to consider in a recommendation would be the medications someone is taking, especially anything that is trying to alter serotonin metabolism like anti-depressants or anti-anxiety meds. If it’s that sugar craving, something to consider is increasing your vitamin C consumption. Nearly every animal in the world, except humans, primates, and guinea pigs are able to convert sugar into vitamin C. Therefore, you have to consume it. 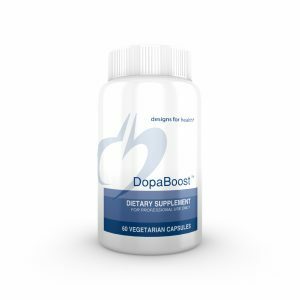 CraveArrest has vitamin C, whereas DopaBoost does not. These products are sold to practitioners and I only carry limited stock in office but feel free to get then from Designs for Health directly. If you have questions, you know how to find me. Vitamin D has a major role in the circuitry that controls dopamine regulation. The obvious best source is sunshine exposure to as many body parts as possible being exposed without being arrested. The problem is that many of us don’t have that kind of property isolation to be fully exposed, nor do cold temperatures in the winter create a strong desire to sun bath. Think of the cycle that vitamin D deficiency can create. You lack vitamin D, so therefore you don’t meet your dopamine regulation needs. Due to our insatiable desire to be satisfied, we look for that quick hit. Instead of reaching for those vitamin C rich plants, we hit the sugary beverages, little candies, breads, pastries, and any gluten-free dessert. Due to the abundance of sugar present, this inhibits any subtle intakes of vitamin C that we may ingest. A lack of vitamin D and vitamin C, an abundance of sugar, a lack of dopamine, and high stress through the holidays? You’re surprised you have uncontrolled cravings? We wonder why October to April is ‘flu season.’ We wonder why people gain weight over the holidays. We wonder why people are depressed this time of year. It’s not because you lack self control, it’s that you’re setting yourself up for failure. I’m not saying DopaBoost, Vitamin C, and Vitamin D will cure your cravings but it may be a good place to start. If you need more guidance, you know how to find me. Thank you for this info. As you say it is a good place to start.